A huge congratulations to Gemma & Lee who got married at Nanpantan Hall at the end of last month. It was an absolute pleasure to join the happy couple and their lovely guests on such a great day. 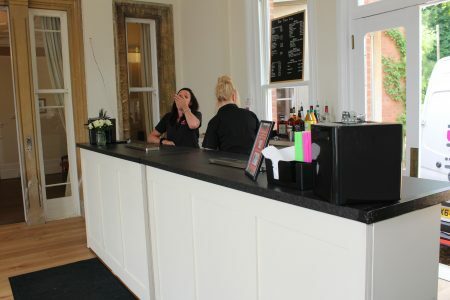 We supplied our full bar hire service at Nanpantan Hall in Loughborough for Gemma & Lee’s wedding. 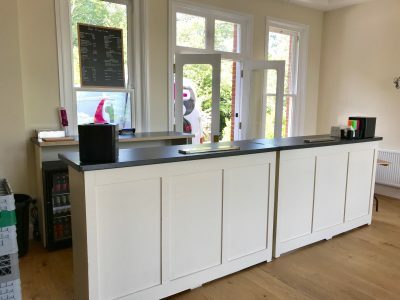 On the day our team arrived at around 2pm with the reception due to take place at 4pm, which gave us plenty of time to set out our two 6ft wooden bar sections, two double bottle fridges fully stocked with drinks and prepare the glassware. Swiftly after the reception had taken place our team greeted the happy couple with a drink of their choice each on the house to start the celebrations. Gemma & Lee also had booked free drink token with us, which she handed out to her guests for a free first drink each. From the first enquiry to the night of the wedding Gemma & Lee had both been an absolutle pleasure to deal with, and to be able to share such a joyous occasion was fantastic! Absolutely first rate mobile bar service! Solid State provided our bar service for our wedding at Nanpantan Hall in May. The staff were friendly, attentive and very skilled and all of our guests commented on how professional they were. 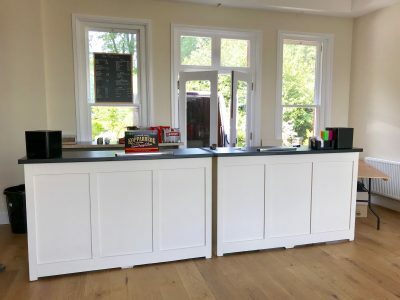 The selection of drinks was excellent for a mobile bar and they went over and above for my guests by even going out during the reception specially to get some spirits and beers that people had requested. 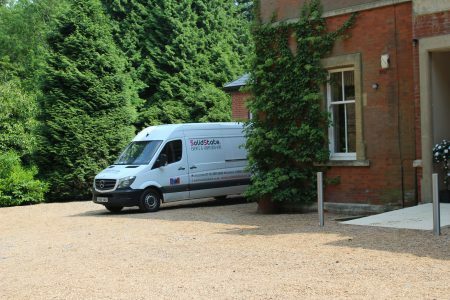 The customer service team in the office were great to deal with and as a Bride-To-Be with a hundred and one things on her mind before the wedding, their professional and well-managed approach to the arrangements was much appreciated. Thank you to the Solid State team… you made our already wonderful Wedding even more perfect than we could have wished for. About to start an event like Full Bar Service at Nanpantan Hall?